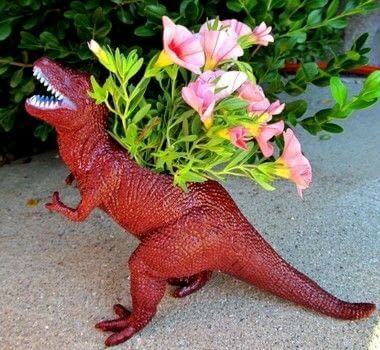 If you didn't know this...these dinosaur planters have been a hit on Etsy. At least from what I have seen. They are very easy make and look really rad! 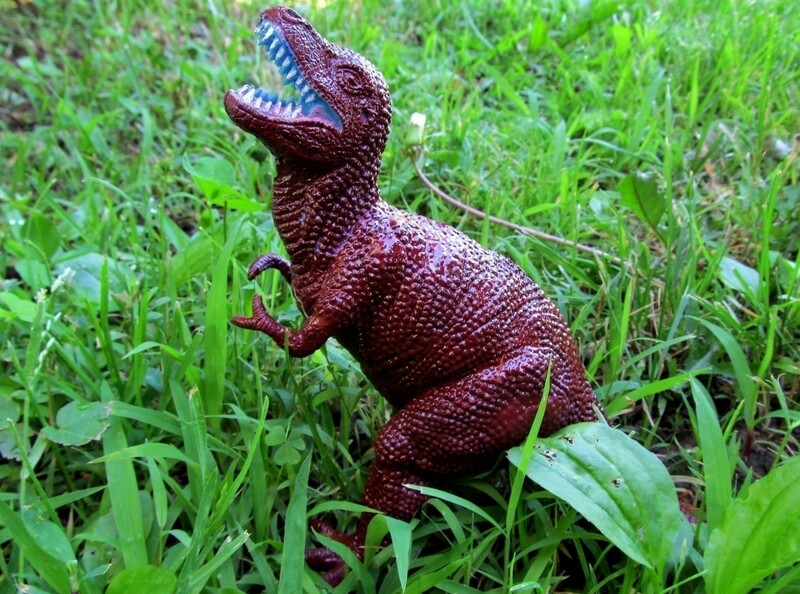 First...you will need a plastic dinosaur. You can find these at Walmart for a dollar and larger ones at Toys R Us. 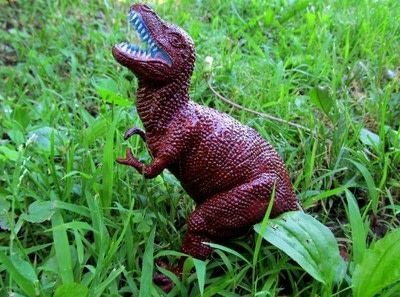 I painted my dinosaur with acrylics and sprayed with a finish. I wanted a complimentary color palette for these photos. 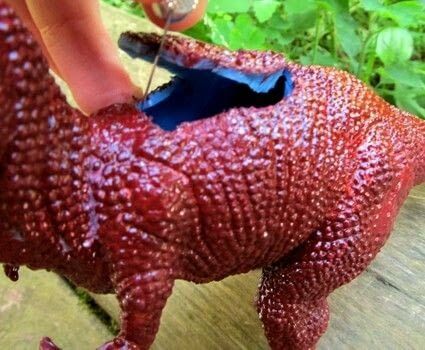 Take your Exacto Knife and cut a hole around the top (well...back) of the dinosaur. It is just like carving the top of the pumpkin...except this is plastic. The hole I created is around 3-4 inches. 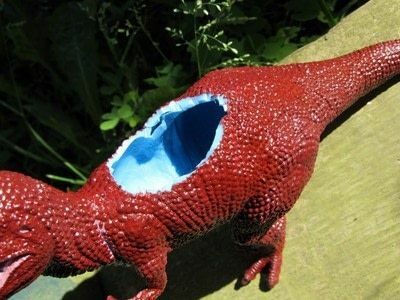 Thankfully the dinosaurs are already hollow inside. 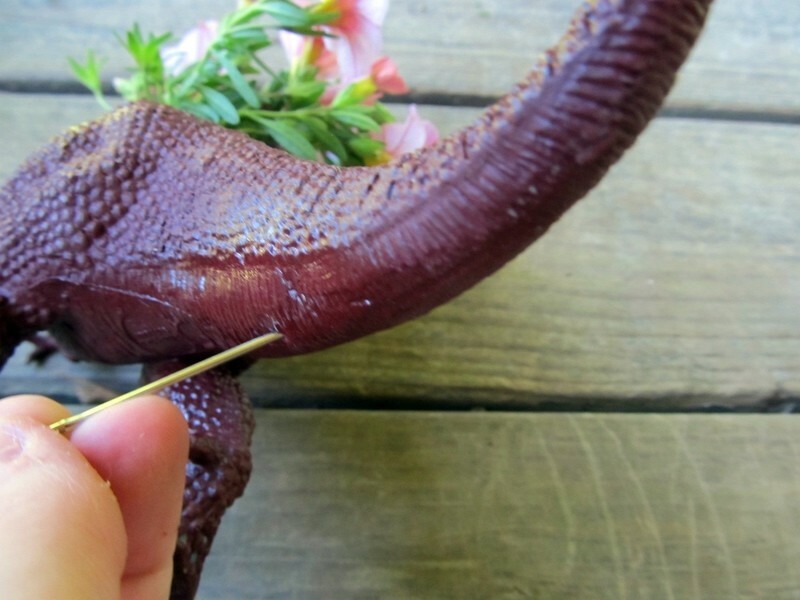 Then, I put in my plant and gave it water so I could expel some of the water using my sewing needle. 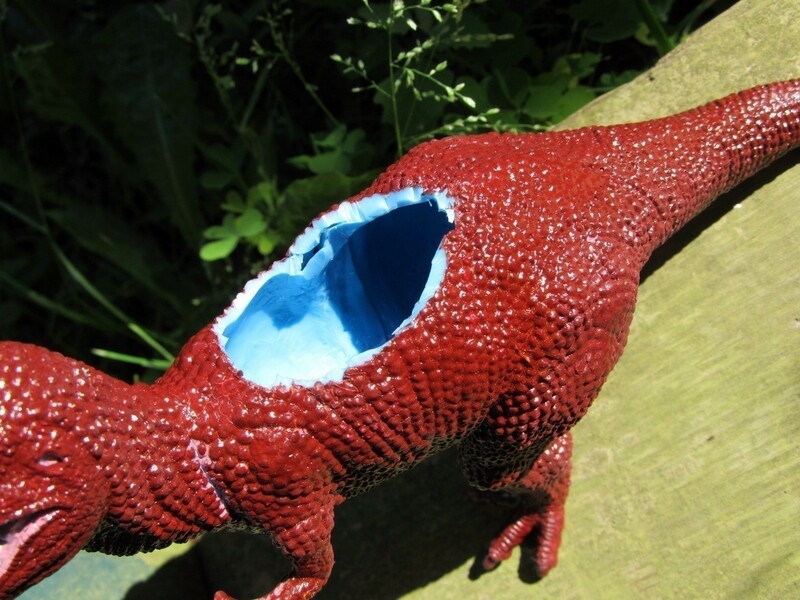 I made plenty of holes in the bottom of the dinosaur...you have to apply a lot of force for this part.